Cut banana into 1-inch chunks. Place banana and remaining ingredients in blender or food processor. Cover; blend on high speed about 30 seconds or until smooth. 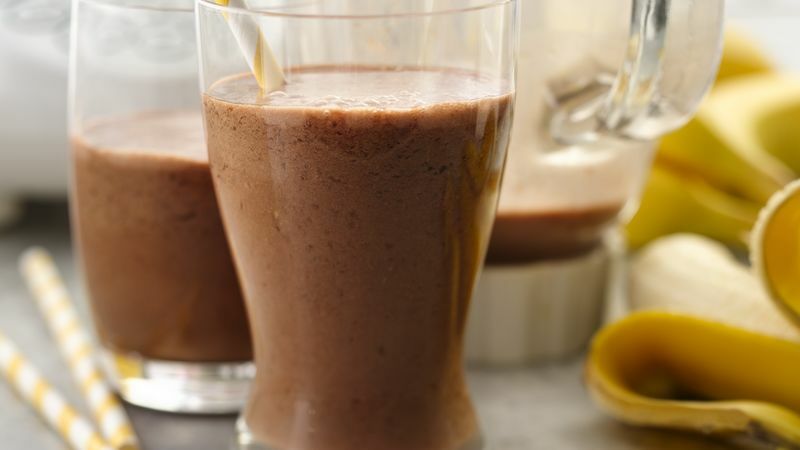 You can use vanilla soymilk instead the chocolate for a slightly different smoothie taste.